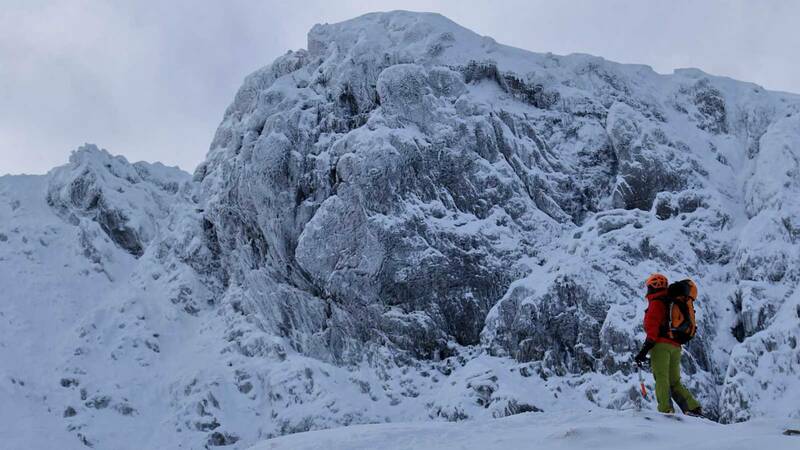 You're a dedicated hillwalker who wants to take things up a level and become a true 'mountaineer', tackling the more challenging peaks of Glencoe and Lochaber in winter. You'll need the full array of mountaineering skills that this course is designed to deliver. 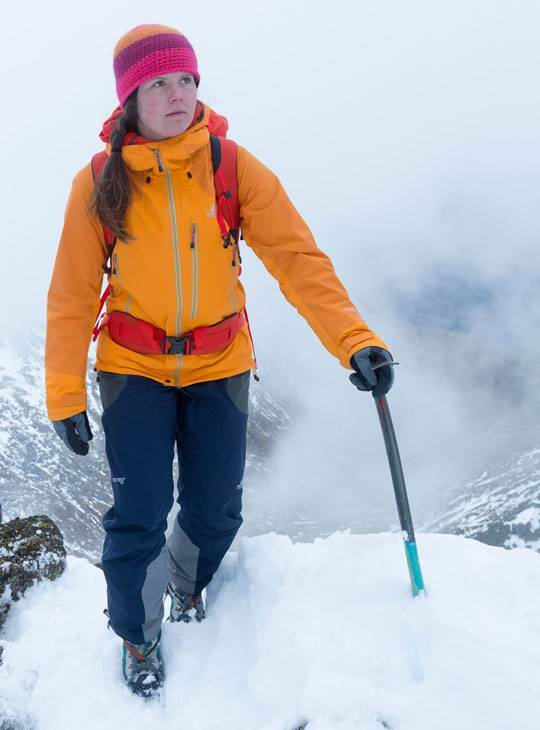 Our top class instructors will combine practical instruction with ascents of many of the finest summits in the Western Highlands to develop your winter skills on steeper snow and winter scrambling terrain. You'll cover winter navigation, and avalanche evaluation alongside the emergency procedures of building a snow shelter and basic ropework for steep ground. You'll get masses of practical experience during the day, and we'll share our expert technical knowledge with you through a series of evening lectures to reinforce what you've learned out on the mountains. This course will be delivered from our scenic winter base in Scotland, the Alltshellach hotel in North Ballachulish. - You'll make the transition from winter hillwalker to mountaineer. - You'll learn practically on five days out in the spectacular Scottish mountains, in combination with evening theory sessions. - You'll cover all of the main skills you'll need to gain masses of confidence in your personal mountaineering ability. This course will take you progressively through the skills of winter mountaineering. Venues and day to day activities are weather and snow-dependent and decisions regarding the exact day's programme will be decided by the course director each morning. The whole group will meet for a briefing, allowing you to share the decision making process with experienced instructors. These areas will be incorporated into mountain journeys, hopefully taking in some of the major peaks. 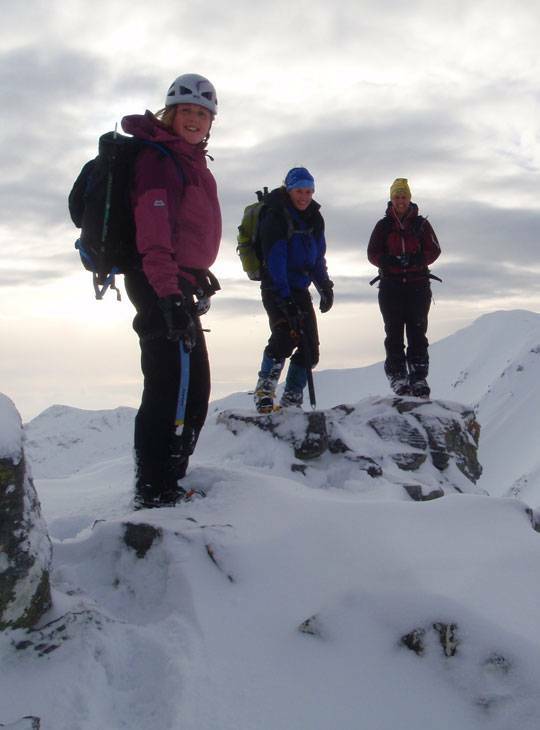 Ideally you'll have completed our Scottish Winter Hillwalking course. Experience with axe and crampons would be very useful on this course. A good level of summer hill walking fitness is essential. You should fit enough to undertake five consecutive days out in the mountains each with an approximate height gain of 1000m whilst carrying a rucksack weighing about 8-10Kg. This will help you to get the most out of the week and allow you to cope with what at times, can be challenging conditions. The days can be long and demanding but as with all our winter courses enthusiasm and determination are the key. Ice axe* - 55-60cm long. This should be a walking/mountaineering axe rather than a light weight ski touring one or a technical climbing axe, such as the DMM cirque. Boots* - Good quality leather boots with a stiff sole - B2 or B3 rated. See boot advice below, the Scarpa Manta Pro Gtx would be a good example. Crampons* - 12 point mountaineering crampons that have anti-balling plates on and are compatible with your boots. See crampon advice below. The Grivel G12 is a good example. Gaiters - Extremely useful to prevent snow and scree entering your boots and help to keep your feet warm. For example the Mountain Equipment Trail DLE gaiter. Crampon Bag - A tough Nylon bag to protect the contents of your rucksack from the sharp points. Climbing Helmet* - A CE rated climbing helmet that is large enough to fit over a hat, such as the DMM Ascent. Snow/Ski Goggles - An essential item for days out in the Scottish winter environment. A budget pair with two layer lenses will be fine. Rucksack* - There is generally a lot more that needs to be carried on a day out in the mountains in winter compared with summer. A 35 to 45 Litre rucksack is fine such as the Deuter Guide 35+. Rucksack Liner - Almost no rucksacks are waterproof, so a waterproof liner is needed to keep your kit dry. Either a large dry bag or several small ones works well or a strong plastic bag such as a rubble bag (not a bin bag). Flask/water bottle - A small flask (1/2 to 3/4 litre) and a similar sized water bottle. Hydration systems with tubes rarely function well in winter. Map - Ordnance Survey 1:50,000 map Sheet 41 of the Glencoe and Ben Nevis area. Ideally laminated or in a small map case. Compass* - Silva Expedition Type 4, in degrees. Waterproof case for your mobile phone - A method of protecting your mobile phone from the elements is essential. Whistle - A cheap plastic whistle is a useful item of emergency equipment. Head Torch - An extremely useful item of emergency equipment. A Petzl Tikka + or similar would be fine. Survival Bag - An orange plastic survival bag is an important item of emergency equipment. Emergency Food - Some spare items of high energy food that are sealed in a bag e.g. Chocolate or muesli bars. Sun block and Lip Salve - To provide protection from UV radiation and the wind. Trekking Poles - Useful for walking below the snow line and for low angle snow slopes. Should be collapsible into 3 or 4 sections to make stowage inside your rucksack easier. Camera - Of your choice - the smaller and lighter the better. Waterproof Jacket* - A robust breathable and waterproof jacket that fits over several layers. It should have a permanently attached hood that is large enough to go over a helmet. Waterproof Trousers* or Salopettes - A robust pair of breathable and waterproof over trousers, ideally long side zips (to aid putting on whilst wearing crampons) and braces. Insulated Jacket - A large warm jacket to wear whilst stationary is useful. It should be insulated with a synthetic material rather than down, which does not perform well in damp conditions. Base Layers - A couple of lightweight 'thermal' tops, short or long sleeved. Should be of a synthetic material and not cotton. Mid Layers - A couple of mid weight layers, ideally fleece, gives more flexibility for managing your temperature rather than one thick one. Trousers - Fleece trousers or power stretch tights work very well under waterproof trousers. Hat - A fleece or wool hat that is suitable to be worn under a helmet - no bobbles! A neck gaiter is also useful. Waterproof Gloves - At least two pairs are essential. They should be dexterous enough that you can put crampons on whilst wearing them. The Mountain Equipment Guide or similar is recommended. Thin gloves - A thin fleece pair is useful for wearing whilst approaching the hills. For example the Mountain Equipment Touch Screen Glove. Personal clothing and effects for life in the hotel including swimwear for the pool. *Indicates available to borrow free of charge from our kit store. If you would like to borrow waterproof jacket, waterproof trousers, helmet, winter boots or crampons please complete our equipment loan form available here and return to Plas y Brenin. For all other items marked with a * we don't need to know in advance, just ask your instructor when you get there. Boots for winter walking and mountaineering in Scotland should be warm enough for the coldest days (Minus 10 Celsius) and sufficiently waterproof to stay dry whilst walking through the wettest bogs. They also need to be rigid enough to kick steps in firm snow and to take a crampon; so rated either B2 or B3. Most people, including our instructors, opt for good quality leather or a leather / Gore-Tex combination. Plastic boots are warmer but may be more cumbersome, and the warmth offered by high altitude boots is simply not necessary. Larger sized boots will flex more than smaller sizes so if you have large feet, then definitely go for a more rigid boot. You will be less likely to slip out of your crampons. Our General advice is to buy a quality boot that fits your foot well; it is well worth the extra expense. Be prepared to spend some time ensuring the size and fit is correct. A quality boot will last many years and can be used all year round; most types allow the soles to be replaced. It is important to wear your boots in and it can be advisable to initially place tape on your heels and any 'hot spots'. Spend time walking around locally, even around the house, before attempting anything more adventurous. Most staff wear either one thick sock or a thin and thick combination. Buy good quality socks, and bring several pairs. For most winter mountaineering courses, our staff use footwear from the excellent range by Scarpa. Crampon advice - Match your boot with your crampon both in crampon/boot shape and fit, as well as crampon/boot stiffness. Take your boot with you when you buy your crampons and fit them to the boot in the shop to ensure a good fit. With leather boots avoid a crampon that uses a wire bale at the front, but opt for a 'French style' plastic bale. Most good makes now offer a cradle and strap system, which is ideal, and helps avoid cold fingers! Buy a 10 to 12-point crampon with a general mountaineering configuration with anti-balling plates. Technical ice climbing crampons are difficult to walk in; the front points protrude excessively and are more likely to catch. Lightweight alloy touring crampons are not up to the harsh conditions of Scotland! With small feet (size 6 or under), certain types of crampon are best avoided - get crampons fitted by the shop. You should have a high level of hillwalking fitness with the ability to spend 6-8 hours walking on steep paths and on broken terrain. The days will often include 800-1000m of ascent and descent. You will also need to carry a rucksack with your spare clothing, lunch and equipment in - this could have an approximate weight of 6-9kgs. This level of fitness will be obtained through regular summer hillwalking and 2-3 exercise sessions per week. This could include running, cycling, walking or playing sport, these should feel challenging and tiring sessions. Some upper body strength will be beneficial but the main focus should be on leg fitness and stamina. A winter mountaineer ready to get out and experience it independently.